This position involves the independent performance of customer service duties and the performance of complex clerical activities in a NSC (Neighborhood Service Center). NSC’s provide decentralized City services in City neighborhoods, with staff using a team approach to address community needs. The Customer Service Representative is responsible for complaint intake, referral and tracking through to resolution. 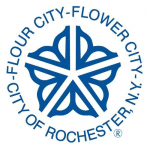 This employee also provides residents with information and referral services and accepts applications, fees and payments for select City programs and services. The person in this position may lead other clerical personnel and is supervised by the NSC Administrator. Related work is performed as required. May occasionally open and close the office alone. II. Four (4) years of the experience described in I. above. Must be available and willing to accept changes in work schedule as assigned. Must be willing to work alone in the office when necessary, including opening and closing the office.